For Chechens living in Europe, it is no secret that in any country one can meet supporters of Ramzan Kadyrov. Refugees from the Caucasus are wary of them, warn each other about the danger, if Kadyrovtsy [hereinafter – supporters of Ramzan Kadyrov] appeared on the horizon, they avoid political topics in conversation if such a person is somewhere nearby and rush to send a message to their relatives that he is one of “these”, it’s better to not to face him. He will rat out, harm relatives in his homeland, take notice, provoke unnecessary conversations, try to recruit or coerce to something. Chechens are not expecting anything good from Kadyrov’s sympathizers. Artur Denisultanov (Kurmakaev), who in Kyiv attempted to assassinate Adam Osmayev, the enemy of Kadyrov and Amina Okuyeva, and the one who was involved in the murder of the refugee Umar Israilov in Vienna, and those who were named by the Austrian court as his murderers. All these criminals managed to get into Europe and Ukraine and to carry out attacks in a socially dangerous way. Killers in Vienna, in Kyiv, were operating directly on the street and, in addition to the victims, random people, citizens of foreign countries, could suffer and die from their shots. 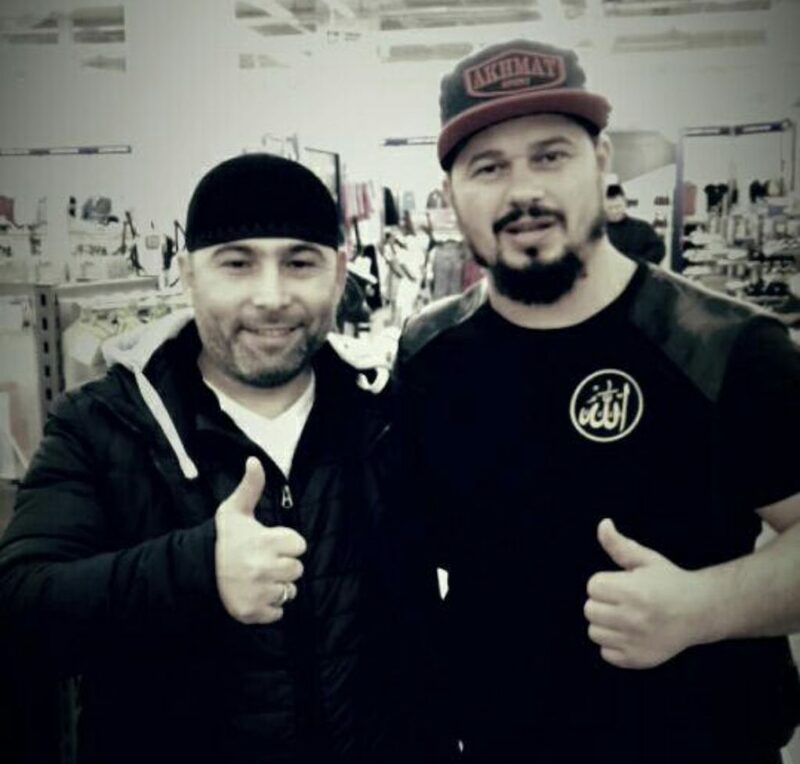 As we remember, the former Kadyrov’s guard, Umar Israilov, lost his life after telling the world about the torture that his former boss and his henchmen personally practiced on detainees. It is obvious that Kadyrov’s men in Europe are most unwelcome, and people are beware of them not in vain. We have prepared a small list. These people – potential and current perpetrators of the European legislation. Fortunately, they are not really good in managing their conspiracy. We are convinced that the presence of persons from the list in the European Union is extremely harmful and dangerous. Information about some of them has already been transmitted by us to the migration services of the European countries. 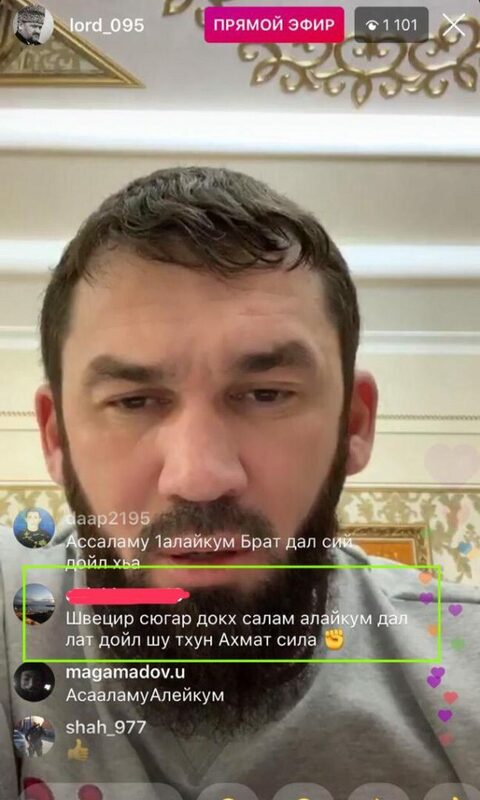 During Instagram live transmission Magomed Daudov (aka Lord, he is the chairman of the Chechen parliament), a native of the Chechen Republic living in Sweden, sent the official words of encouragement, greetings, expressed respect, and blessings. “Big Salam alaykum from me from Sweden! May Allah save you for us! Ahmat Sila! ”. After a conversation with the relatives of the young man and with him, the VAYFOND Association, together with the refugees from Sweden, came to the decision to change the previously entered information (from 04/05/2019). The young man realized his guilt and repented of what he had done, in turn, the young men’s relatives explained to him who the Kadyrovtsy people were and how much misery and suffering they had caused to the Chechen people, they have also promised not to make such mistakes further. The young man had the courage and conscience to realize the mistake and it deserves respect and also the respect earned his relatives, who immediately responded to the incident and corrected the situation. Beslan from Bremen. Also a lover of fame on Instagram. Places photos and videos of his own recklessness. Some time ago he closed the page. But we all remember, as well as there are enough screenshots. On one of the videos, Beslan was firing a pistol into an open window in a densely populated area. “I’m shooting for real brothers,” he explained to viewers in Chechen. We asked the German police and immigration authorities to pay attention to the Bremen shooter. It is possible that next time he will open fire on a busy street, in a store, or a playground. He offered Magomed Daudov his services in eliminating an objectionable blogger based in Poland, Tumsu Abdurakhmanov. Tumsu is one of the few Chechens who is not in power, but is internationally renowned. By his own admission, he became a “thorn” for Kadyrov and his entourage. Esters and videos of Tumsu tell about the crimes of the Republican elite: torture, murder, abduction. Ether after ether, video after video. Like no other, an ordinary resident of Chechnya, he knows what is happening firsthand and speaks about it eloquently. Kadyrov’s ministers even tried to conduct discussions with him on the live transmission, but the polemical gift of Tumsu left them with nothing. On the public arena, officials are giving way to a blogger. After another unsuccessful discussion for himself, the Lord announced a blood feud to the blogger. The reason is Tumsu’s words about the contempt for the memory of Akhmat Kadyrov, a former Russian appointee in the Chechen Republic. 21 century. The centuries-old Chechen custom is announced through the American social network. But this is not all absurd. Immediately, on the live transmission of the Lord, a voluntary performer is announced, our Beslan from Bremen “Lord, if you need something here in Europe, I am always there for you and I am your brother. It is not a problem to find and “surprise” this jerk Tumsu”, writes the loyal of padishah. So, once again, more slowly: the head of the legislative body of the Russian region publicly declares his intention to commit extrajudicial punishment of a person just for expressing an opinion. His fellow tribesman, who is a refugee in Europe, publicly expresses readiness to undertake the execution of an order for reprisal. Later, after a flurry of questions, the Russian statesman Daudov explained that there was an allegory on the live transmission, but in fact he did not want to kill anyone. However, Daudov himself will not be able to, he has not been allowed into the EU for a long time because of the sanctions. But given the number of voluntary killers, eager to curry favour for free, he does not need to bother. One way or another, everyone understood that they were talking about the physical destruction of the enemy of the regime. 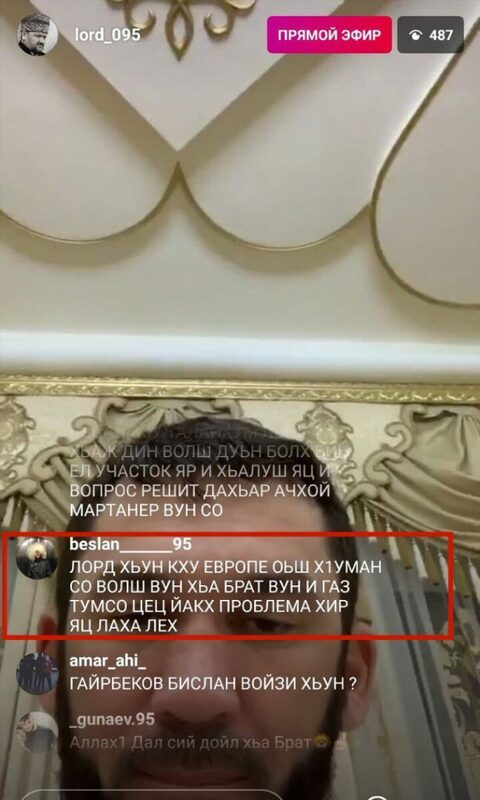 In one of the Tumsu’s live transmissions, one of the users mentioned that the price for the head of the blogger was $ 2 million dollars. 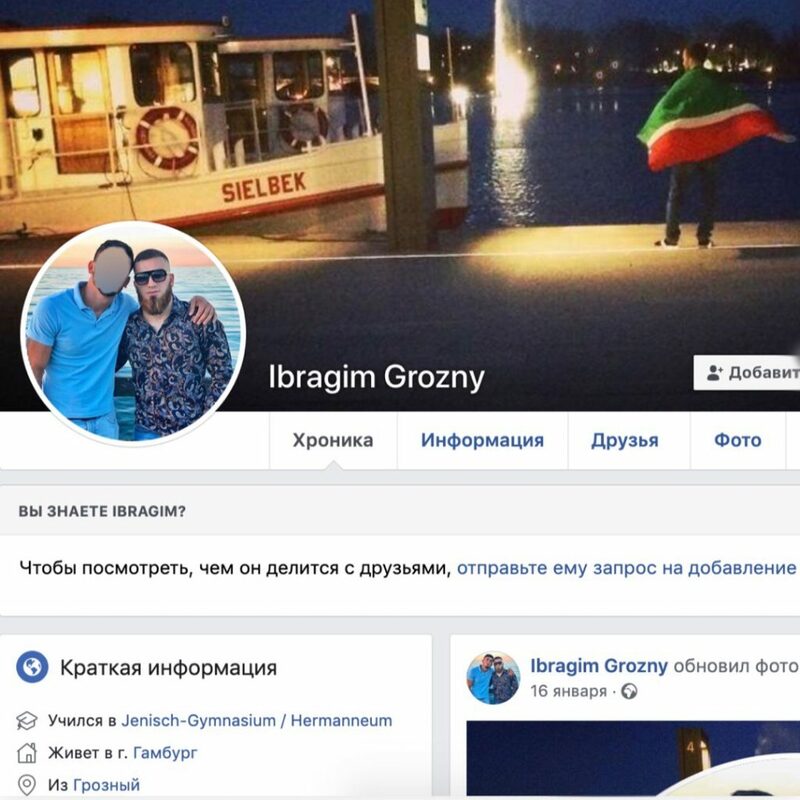 Ibragim (Ibragim Grozny – Facebook Nickname). He writes about himself that he lives in Hamburg. Young, judging by the photo. Married, has children. Comments written in German. It means that he was hospitably received by Germany together with his parents, learned and educated in this country, but for some reason he still loves Kadyrov. 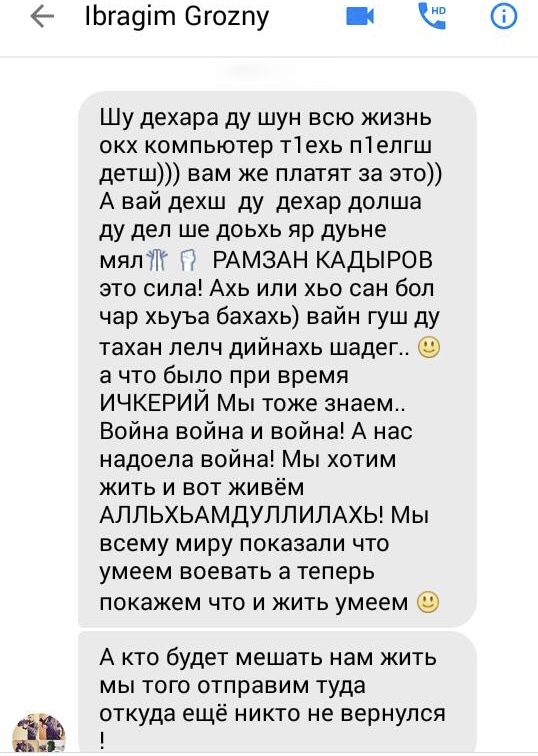 Posts on Facebook reveal him to be loyal Kadyrovets, he praises the padishah in all available languages, posts videos of republican TV, scolds Ichkeria and the years of independence, takes pictures with a poster “Kadyrov patriot of Russia”, boasts euro notes, – German social benefit for which he lives. Be curious to check, it’s quite entertaining. And we, through the migration authorities, will try to tell Ibragim that the padishah is more comfortable to love from the close distance, and Hamburg is not Grozny to him. It is necessary to change the place of residence, and fit his proud image he created on Facebook. 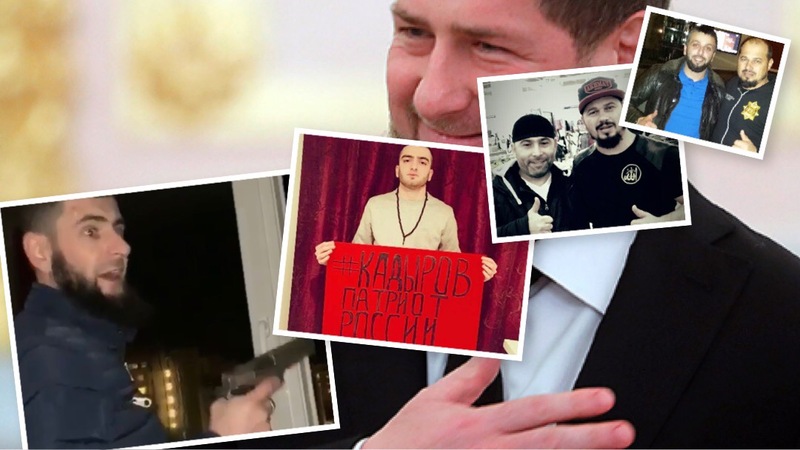 As a rule, in Europe, Kadyrov lovers and his followers put together gangs, or adjoin existing ones. When they are caught by the police, the press announces the capture of “Chechen gangsters” and does not pay attention that they are sympathizers of power. This drops the image of the Chechens as a whole, adds fuel to the fire to the nationalists and right-wing parties. Normal refugees are suffering, who themselves have escaped from such. Muslim Tsibaev. 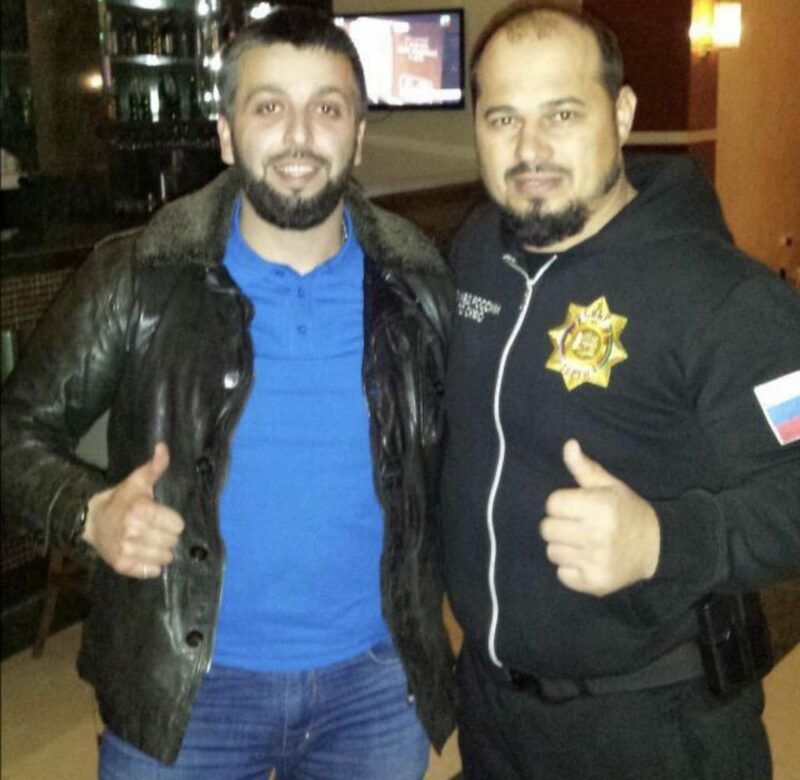 He calls himself a refugee, lives in Austria, but occasionally travels to the Chechen Republic and even managed to shine in the photo in an embrace with the commander of the Chechen SOBR [A special rapid response squad], an approximate of Ramzan Kadyrov, Abuzayd Vismuradov nicknamed the Patriot. 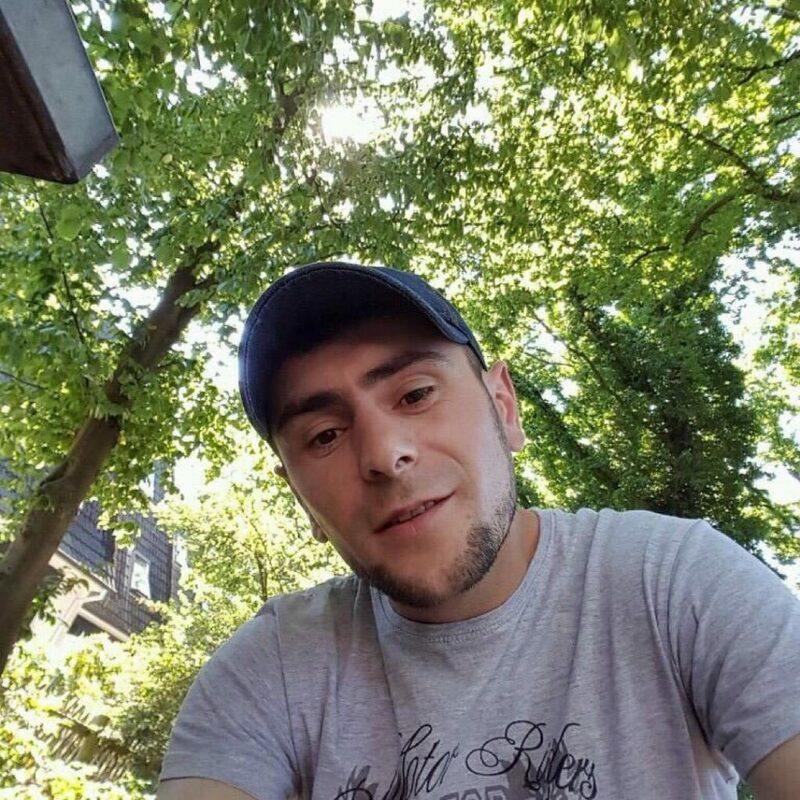 He was among those detained by the police in August 2017 in Austria. The press wrote about the “Chechen gang”. They were accused of creating a criminal organization, of fraud, arson, extortion, illegal possession of weapons and drug trafficking. Curiously, in respect of the part of the caught, the asylum procedure has already been started. During searches they found firearms, knives, drugs, and police uniforms. An article about this and another gang was published in the Austrian “Kronen Zeitung”. Is it any wonder that after all of this a number of high-ranking Austrian officials said that the Chechens are not in need of an asylum? Akhmed Meltaev. Known as a provocateur and scammer against opponents of the Chechen government. He is illiterate, he hardly reads Russian. Lame on one leg. In 2016, he was actively wielding in Brest, among Chechen refugees trying to get to Europe through the Belarusian-Polish border. He pretended to be a victim of torture, gathered young people around him, monitored information on those who had left, found out how many families, which and when they crossed the border, who and for what reason left the Chechen Republic and who and about what privately informed human rights activists and journalists. 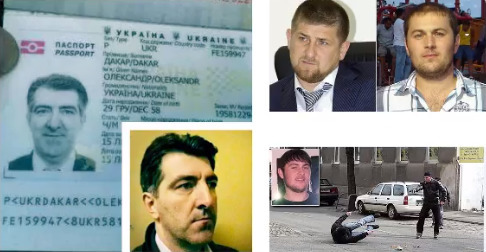 According to some data, for services on giving to Kadyrov’s men their enemy who was ultimately killed, he was granted a car from Patriot hands. The list of our antiheroes is being updated. We offer everyone to send data and other potentially dangerous people from among the Kadyrovtsy living in Europe. We will verify this information and offer it to the attention of the competent authorities. Let’s help the padishah lovers to get closer to the object of their love, let him protect them, not Europe.